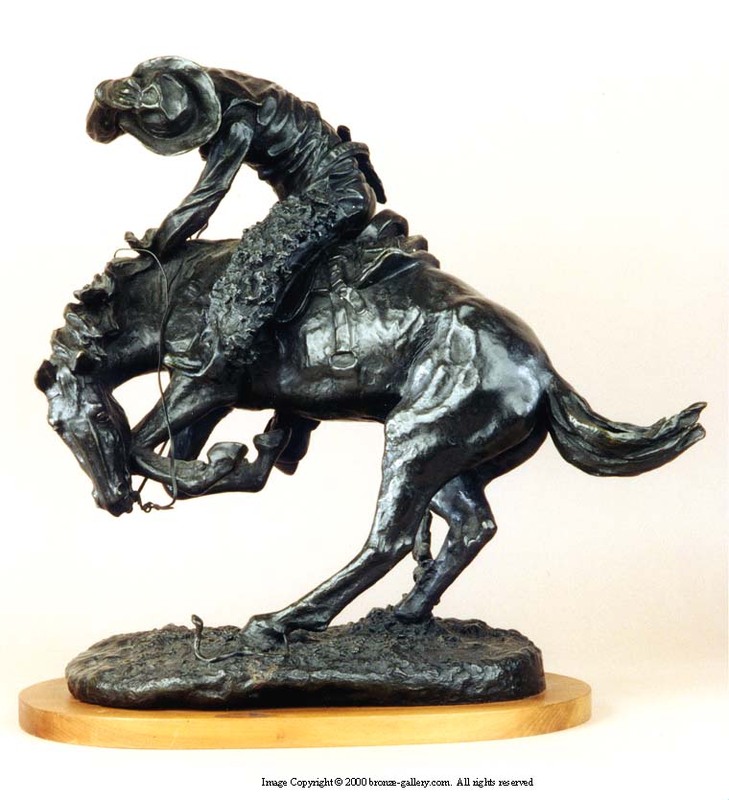 Remington first sculpted The Rattlesnake in 1904 and it is considered one of his best sculptures, showing the fluid movement of the bucking horse and rider. This model presented a challenge to show the horse up on two legs twisting and recoiling from the dangerous snake at its feet. The cowboy is equally startled and is almost caught off balance, grabbing his hat while trying to stay on his horse. A powerful composition, it focuses all attention and movement to the small but deadly rattlesnake. The Rattlesnake won much praise when it was completed and was called the work of a master's hand. It was Remington's 12th sculpture and went on to become one of his most popular works in bronze. It tells a dramatic story of life in the old West. Our bronze of The Rattlesnake was copyrighted and cast by a company called Museum Collections Inc. in conjunction with the Buffalo Bill Historic Center in 1979. These authorized casts were made from the original Rattlesnake cast 17 in the Museum's collection, thus insuring the sharp detail in this bronze, and sold through The Buffalo Bill Historic Center in Cody Wyoming in the early 1980's. It is cast 946 out of a edition of 1000 bronzes. There are only about 100 original Roman Bronze Works casts of this model, and one sold at Sotheby's NY in 2008 for $265,000, another in 2009 went for $158,500, another one sold at Christies in 2009, and brought $134,500. 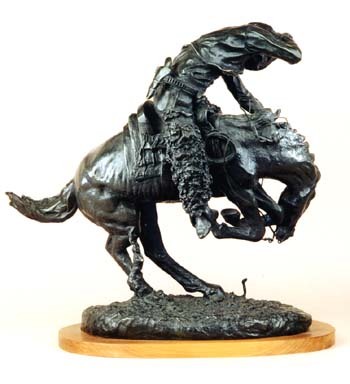 This posthumous Museum cast from the original is reasonably priced so one can enjoy this fine Frederic Remington classic Western bronze without breaking the bank!